I'm excited to share this card with you cause it was super fun to make! 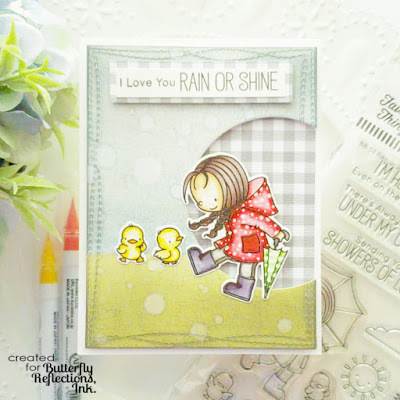 I started out by stamping out my images from the My Favorite Things Rain or Shine stamp set on to a smooth Bristol cardstock with a detailed black pigment ink. 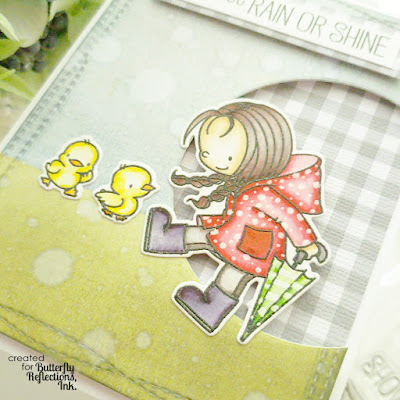 I then applied clear embossing powder and heat set the images. I used my Zig Clean Color Real Brush Pens and a water brush to color in my images. 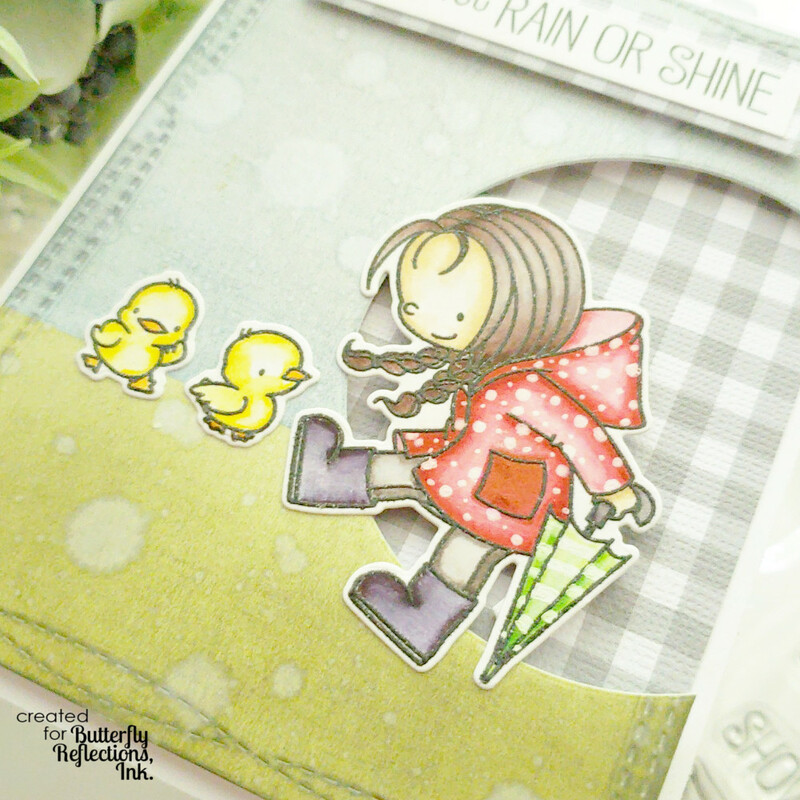 After all of the coloring was done, I used the matching dies to cut out the images. 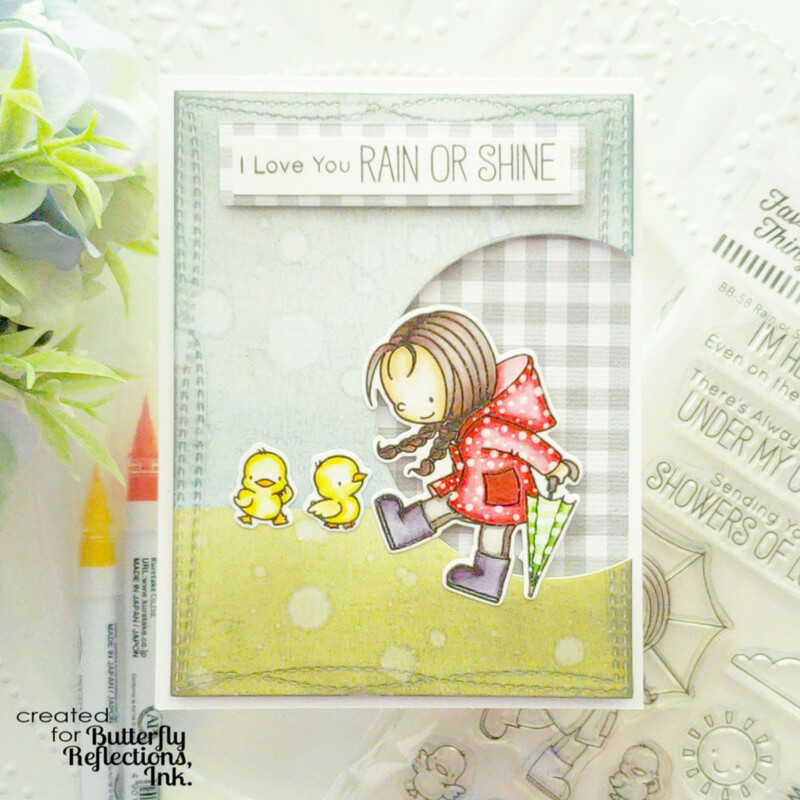 I knew I wanted to create a rainy sky and ground scene, so I used several colors of Distress Inks and a blending brush to create the scene. I then used a circle die and cut out that side window area. I picked a piece of patterned paper and glued it on to the card panel behind the circle window. I then trimmed down my sky/ground scene with a die from My Favorite Things and mounted it with fun foam and glued it on to a 4.25 x 5.5 inch card base. I then glued my images on to the card, stamped a sentiment from the same set, matted it with the matching patterned paper, and glued it on to the card as well. Any time I'm feeling in a crafty slump, I visit my saved images from Instagram and try to incorporate some similar card layouts that I've used before. Try this little tip next time you're feeling blocked, and it's guaranteed to give you a great kickstart!